Data is the lifeblood of modern marketing but is your organisation using it to the fullest? 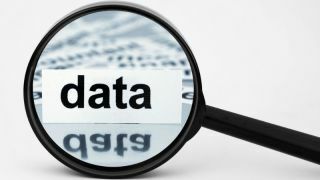 There’s no doubt about it; data analysis is the lifeblood of modern marketing for organisations. Yet harnessing this information is no small feat - the amount of data at businesses’ fingertips today is colossal (and growing!). In fact, 90% of all data in the world today has been created in the last two years. Add to this the challenge of organising it, understanding it, and then translating it into valuable insights that can be used to drive business growth - it’s easy to see why many companies find the concept daunting. Against this backdrop, we surveyed over 150 senior marketing professionals across the UK to gauge their attitude towards how data is being used within their organisation. Based on these insights, I’ve devised the following advice for businesses that are looking to tackle the ‘data dilemma’ in the coming months. 71% of marketers feel overpowered, rather than empowered, by the data available to them. One overriding observation here is that marketers are using an extraordinarily high amount of data sources to inform their marketing decisions. From transactional and internal data to behavioural and socio-economic data, the list is endless. If you have the right infrastructure in place to cope with this volume, then this is absolutely the right approach. But those drowning in the volume should be careful not to bite off more than they can chew. Start small and aim big. Over half (55%) of respondents said that the quality or accuracy of data is critical to driving marketing decisions, yet only 36% said they were satisfied with the quality available. Getting the quality of your date right can have a significant impact on other marketing costs further down the line. It makes sense to target a smaller pool of higher quality leads to reduce production costs, as well as spend on things like media buying and distribution, which should lead to improved ROI across the board. It is also worth investing in the appropriate quality tools to process data, as a third of organisations said that not having these was a barrier in their ability to process it properly. Whilst 67% of businesses expect to invest more heavily in the coming years in standard software packages, these are still too focused on processes such as Excel, when more powerful data solutions are available. The urgency to improve data analytics processes can be hard to reconcile with the scarcity of resource with which to do so, but rather than adopt a sticking plaster approach, organisations should consider using a professional data company that can deliver both more meaningful and in-depth results to drive genuine business impact. Over a third of respondents (35%) are still citing lack of budget as a barrier to achieving good data analysis. In fact, it was pulled out as the biggest hurdle that had to be overcome in our research. If you’re spending almost a day a week looking at customer data without it delivering (as our survey suggests), then that’s too much. Whilst justifying budgets can be a challenge, companies need to view data-spend as a long-term investment. Four out of five marketers say that making significant inroads with data analytics within the next two years is critical, or their business will suffer financially. Make the case for bringing in additional resource and expertise to free up some time so you can focus on other marketing duties, such as the more creative and strategic aspects of your job. It is often said that the best customer experiences are the ones that are personalised around individual requirements. What you should be looking for from your data are the triggers that affect people’s behaviour depending on the situation they’re in. This is what will help you identify valuable up-sell and cross-sell opportunities. Similarly, monitoring changes in behaviour will help you establish lapsing triggers; the events that cause potential customers not to buy from you. Being aware of the opportunities within reach will keep you on track to improve the status quo. Once the General Data Protection Regulation (GDPR) comes into effect in May 2018, our research suggests that some consumers are going to be much more willing to share their data openly. So, there will be an even bigger opportunity for companies to generate business growth as the amount of data proliferates. The regulation is also likely to change how companies interact with their data, so it will also be important for businesses to stay on top of the requirements. There is so much that can be done with good data if organisations are savvy enough to wield it as a powerful tool in their armoury. It can be a huge economic asset – the challenge lies in sifting out the information that will be the most useful, and then using it intelligently to generate higher quality services and products for customers. If businesses can get the combination of insight and creativity right, then they will give themselves a fantastic opportunity to get ahead of the curve and beat competitors with something fresh. Implementing the aforementioned changes now will enable businesses to address their data demands as they move continue into 2017, and beyond.